The President has declared that any citizen requiring information has only to ask him. The Speaker has indicated that Democracy cannot survive in Sri Lanka unless questions raised in Parliament are answered fairly and adequately. 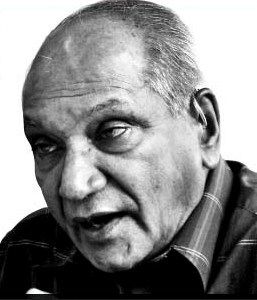 An Ex-Chief Justice who, as CJ propounded, the age-old doctrine of Public Trust (which, in essence, is that all public office is held in trust for the Public) has recently opined that “The Right to Information was blocked in Sri Lanka and it was an absolute necessity for the country as the rights of the people were being eroded in a massive way”. Whatever credibility may be attached to the statements from the “Executive” and the “Legislative” branches of Government may be, the statement from the “Judiciary” merits serious consideration. Prima facie, it reflects the frustration of an ex-Chief Justice whose strenuous efforts to remove the blockages to the Right to Information in the Judicial System have proved futile. The Institutions charged with the primary responsibility of actively clearing blocks to the Public’s Right to Information are the Supreme Court, the Judicial Service Commission and the Bar – both official and private. A lawyer “friend” of this Ex-CJ sought his assistance as Attorney General, in respect of a massive fraud perpetrated on hundreds of bona fide depositors by an Investment Company controlled by Lawyers, that offered 42% interest on investments, purportedly secured by “Gilt-edged Security” and attracted hundreds of gullible, though bona fide depositors and defaulted after one year, having inter alia, forged the signatures of the unsuspecting depositors and making a mockery of the guarantee of “gilt-edged security”. This “friend” was “dumbstruck” when the Solicitor General to whom the “matter” was referred, informed him that the Attorney General had advised him to state that “forging a signature was a civil matter and therefore the AG could not intervene”. In hind sight, it is clear that if that complaint had been pursued by the AG to its logical conclusion, as required by law, hordes of unsuspecting Sri Lankans would have been spared the disastrous consequences of similar, though much larger, subsequent scams such as Sakvithi, Golden Key, etc. The conduct of this Ex-CJ at the meeting of the Judicial Service Commission held on 30th December 2004 (four days after the devastating Tsunami) and at subsequent meetings during 2005, culminated in Dr. Bandaranayake J and T.B.Weerasuriya J tendering their resignations from the Judicial Service Commission in January 2006, citing matters of conscience. This was in spite of the specific provision in Article 111 E (3) of the Constitution that “All decisions of the Commission shall be made by a majority of members present”. In blatant violation of the mandatory Constitutional requirement that no such appointments could be made without the approval of the Constitutional Council, Nihal Jayasinghe J and N.K. Udalagama J were appointed to Judicial Service Commission and Nihal Jayasinghe J was appointed as Acting Chief Justice, bypassing Dr. Bandaranayake J and T.B. Weerasuriya J, in February 2006, necessarily with the knowledge and approval of this ex-CJ. Solely in the Public Interest, the aforementioned lawyer instituted actions in his personal capacity, for the Citizens’ Movement for Good Governance (CIMOGG) and for the Organisation of Professional Associations (OPA), to highlight the Constitutional anomaly of the Constitutional Council becoming dysfunctional, and seeking the intervention of the Judiciary, as there was widespread apathy on this matter. Notwithstanding the gravity of the issues involved, he was permitted less than 30 minutes, on 31st March 2006, to support his personal application. The only order made, as borne out by the Court record, was “Petitioner appears in person. Leave to proceed is refused.” Nothing else was stated in Open Court, nor was any indication given that Court sought to exercise its exceptional power to punish the said lawyer for contempt in the face of the Court or that he would be charged for any deceit, malpractice, crime or offence he had purportedly committed during those 30 minutes. 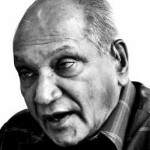 A personal application filed by the said lawyer on 22nd June 2006 re the unconstitutional appointments of Somawansa J and Balapatabendi J to the Supreme Court, and Rohini Perera J and Sarath de Abrew J to the Court of Appeal, has never been called in Court and no information has been provided to the said lawyer as to the fate of that application. Without any notice to the said lawyer, proceedings in a Rule matter commenced in the Supreme Court on 2nd October 2006, without any mention of the name of the Respondent lawyer. Forewarned of the likelihood of being remanded for non-appearance in Court, the said lawyer presented himself, at this stage and was, only then, served with notice of a Rule, which alleged that he had, 6 months earlier, on 31st March 2006, engaged in conduct prejudicial to the Administration of Justice by using intemperate language and making gesticulations to bring the proceedings of Court into ridicule and contempt. (v) the record of the proceedings maintained in connection with the Rule will not be made available to the Respondent lawyer. Without any inquiry being conducted, the said lawyer was suspended pending a decision by the Court. (iii) any evidence or indication of the alleged intemperate language used or gesticulations made, the said lawyer submitted on 1st June 2007, an affidavit setting out his own bona fide conduct on 31st March 2006, together with comprehensive submissions of the late Mr. H.L.de Silva PC. On 26th June 2008, the said Ex-CJ made order that “the Rule was based on a note made by the Presiding Judge of the Bench that heard the application on 31st March 2006” and justified the need for deterrent action by citing, as an extract of an order made on 30th June 2006, a surreptitious alteration of the said order – made sometime after 17th July 2006. Soon after the said Ex-CJ retired his successor as CJ acted swiftly to review an order made by the Ex-CJ and to restore the fundamental right of Dr. P.B.Jayasundera to engage in a lawful occupation, on 13th October 2009. On 9th November 2009 the aforementioned lawyer tendered an application for restoration of his right to practise as a lawyer. As directed by the CJ the file was submitted first to Dr. Bandaranayake J who, on 16th November 2009 directed the Registrar as follows: “Prior to the Rule was issued a document was circulated among the Judges for observations. This was contained in the file which contained the complaint against (the lawyer). Before I make my observations I wish to peruse that document. Could you kindly send me the Petition File along with this please”. Without responding to this direction for almost a month, on 14th December, the Registrar (appointed on exceptionally favourable terms sometime after the said Rule was affirmed on 26th June 2008) directed the Subject Clerk as follows: “Spoken to Chief Justice. Till the abovementioned file is located, please circulate this among other judges”. On the same day, the Registrar submitted the file to the very Judge who had made the complaint. On the next day the complainant Judge made the following observation: “Chief Justice. As I have a complete recollection of the original case and have perused the Documents, Affidavit and Petition and I see no grounds whatsoever to vary the order of suspension”. On 5th July 2010 the aforementioned lawyer complained to the Chief Justice in Open Court that his application for review had not been listed on any one of the 10 dates requested by 4 motions. Expressing great surprise, the Chief Justice assured the said lawyer that he would very definitely look into this matter. The said Chief Justice retired in May 2011 without taking up the said application and the said lawyer thereafter filed four more motions suggesting 12 dates for his application to be listed for support. As it was not listed as requested, the said lawyer interviewed Dr. Bandaranayake the Chief Justice in her Chambers, on 16th March 2012. Stating that these motions had not been submitted to her, she assured the said lawyer that she would look into the matter and have her Secretary notify the lawyer if any order had been made rejecting his application, so that he may, in that event, appeal to her directly for her to take necessary action. Having received no intimation re the fate of his Application for Review, the said lawyer has reconciled himself to the reality that, far from removing blocks to his Right to Information, the Supreme Court is in fact consolidating the suppression of his Right to Information, effectively preventing an exposure of the acts of Commission or Omission on the part of certain other sitting Judges. Perhaps, these will make similar or even stronger assertions re the absolute necessity of the Right to Information, post retirement. The remarkable transformation of the said Ex-CJ is apparently due to an overpowering desire to practice what he now preaches widely. Unless sitting Judges follow suit, without waiting to do so after their retirement, the prospects of the Sri Lankan Public’s Right to Information, is sadly, very bleak indeed. Hurrah! An honest man speaks! More strength to your elbow Mr Elmore P.
Let those like this ex CJ – Sarath Nanda Silva – shrink in shame at their past actions even though the media gives him wide publicty as to his hypocrtical callings today! Ex CJ is thug and he even dis bar Mr Elomre, we remember all those. He is a crook and present CJ is also the same. Her husband is a Rajapkasa henchman she too. We need more Elmores to come forward and speak loudly ! Mr. Elmore Perera has always been out spoken. He has never been frightened or have been submissive in pointing out those who are hypocrits, rogues and murderers holding office as eminent Public Servants. He even paid the price of being disenrolled as a Lawyer by the scum of Sarath N Silva for standing up to Justice. Had the other Public Servants done the same or had the back bone as that of Elmore Perera, this country would not have been sunk to this level of an abyss by the corrupt mediocre who are in power. for “speaking loud” – by the ex-CJ. Now the supreme court, after the 18th amendment was passed (by a bill ‘circulated’ but unknown to most MPs & even the speaker) has become a “pro government” court. A corrupt,unjust military regime is being propped up by this “supreme” court. With rampant lawlessness,disappearances,abductions,murders by persons shielded by non-action of law-enforcement,massive fraud,massively loosing State Enterprises,Sri Lanka is fast becoming a ‘pariah state’. Honest and sincere bit of recent history.This ex CJ is the biggest culprit who should be responsible for current chaotic political situation in the country.En-masse cross overs from the opposition to the government and do all the dirty politicking was facilitated by this ex CJ judgements.UNP MP went to courts seeking justice against the paarty responsible for an attempted embellishment of Sunami funds.Whole world is laughing at the decision. Instead of dealing with the party who attempted to embellish Sunami funds the MP who sought justice was fined Rs 1000,000/= Well done Elmore.Please record some more of these dirty dealings going on in Sri-Lanka at least for the sake of posterity.Even if there is no solution close in sight at least some time later when things atart turning around people will know who were the roughes who ruined our beautiful country. Keerthi, I tend to agree with your sentiments expressed. It is true that this despicable character Sarath N Silva by allowing this Tsunami Fund embezzler to contest the Presidential Election, restrained the Police from probing the scam. Thereafter there are many others as the Former CJ who succeeded Sarath N Silva the vermin and the former AG supposed God fearing Catholics who bent backwards to lick the feet of this embezzler, merely for financial gain and position in society. The level of piety of these individuals clearly shows that they have even cheated GOD. When the former AG was questioned reference the dissapearence of Prageeth Eknaligoda he had the audacity to say that only God knows whether he is alive or not, while the rest of the country knows only too well that one need not ask God, but if MR is asked he will know what happened to PE. It is not only these two individuals but none of the other Public Servants had the backbone to throw in the towel, publicly standing up to this Corrupt Potty Individual trying to act as a Dictator. The string of IGPs or the Forces heads are a disgrace as none had the guts to take him on as then the whole country would have backed such an individual. It is not too late for such action even now.